Mother Clare Watts is an ordained Priest and Master Teacher in the Order of Christ Sophia. She began her early mystical Christian training in the late 1970s after studying in yoga ashrams and a Sufi training school. In 1984, she was ordained a Minister-Deacon in the mystical Christian tradition, and served as such in Kentucky and later in Massachusetts, where she was ordained a Priest in 1996 and a Master Teacher in 2001. She is the Director of the Order of Christ Sophia, which operates seven Centers of Light in the USA and one in Canada. Before her tenure as a Master Teacher, Mother Clare worked as a Certified Professional Midwife for 18 years, having pioneering midwifery practices in Kentucky and Massachusetts. 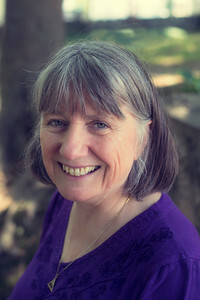 She received her Masters Degree in 1996 in Counseling Psychology, followed by three years of postgraduate training in Jungian Analysis at the Boston Jung Institute. She had a private psychotherapy practice alongside her midwifery practice until she ended both in 2001 in order to devote her full attention to her work as a Priest and Master Teacher. Mother Clare now lives in Santa Fe, New Mexico, where she serves at the Center of Light Santa Fe. She travels nearly every week to cities around the country where she offers continuing education and support to the local priests and ministers, counsels the spiritual students of the Order and offers seminars and services for the public.